Doors will open at 7:30PM. Showcasing the dynamic nature of burlesque performers by by combining lightning talks and live burlesque—by the same people—Get You A Babe Who Can Do Both sets out to prove that you can be both a sexual object and an intellectual. 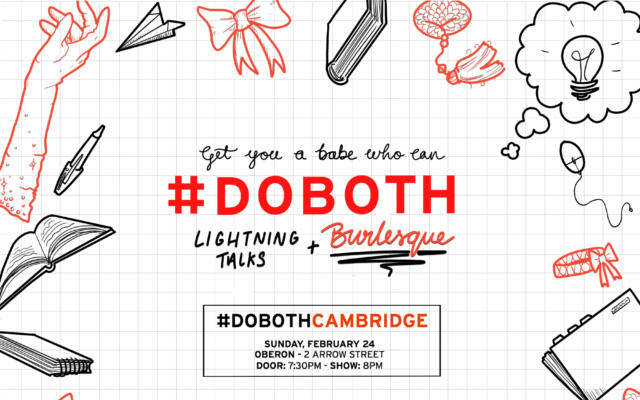 After reaching monumental success in Philadelphia and Boston, this recurring series offers an educational, raucous night celebrating babes who #DoBoth. And the performer who started it all—not a doll, but an action figure—HoneyTree EvilEye, laying out social media censorship. Plus custom cocktails created by stage actress and mixologist Jessica Knight of Cafe ArtScience!